Video : Altenew May 2017 Release Blog Hop & Giveaway! Altenew have done it again, today they are not only releasing some fabulous new stamp sets and dies but now they have their very own luxurious embossing powders! We are all hopping along to celebrate and you should have arrived here from AMY’S fabulous blog. I couldn’t stop making cards with this release, so scroll down to see them and the video that I have made showcasing the fab new Layered Plaid Cover Dies as well as to find out how you can WIN! To created my Plaid background I used Moonrock, Dark Gray and the blue cardstock from the New Day Card Kit, then I added a Modern Cat (coloured like the lilac burmese that we used to have…. and she did manage to sneak a photo into the video today). and I used the Pure White Embossing Powder for the first time and am totally impressed with the ‘brightness’ of the white, tick! Next I created a gift card set using the mini stamp sets: Latte, Strawberry and Ice Cream. This time I heat embossed the images with the beautiful Golden Peach embossing powder on some Spicy Yogurt cardstock and added a touch of colour with some Prismacolor Pencils. I also used the new Watercolor Frames stamp set to emboss a frame around each of the images. My final card was heaps of fun and came together very easily. To create the background I stamped a panel with one of the Watercolor Frames. Two of the flowers from Best Buds were stamped directly onto the card front and the final one coloured with Copics, fussy cut and popped up on the front. One of the best things about this set is that if you want, you can also get the layering set separately if you prefer to add colour with stamp layering. Also I will randomly choose a winner from the comments left on this post (only one per person) to win a $30 gift certificate to the Altenew online store, you have until midnight Thursday June 1st (AEST) and I will announce the winner here on Friday June 2nd. From here you are heading off to DEBBY’S amazing blog I hope you have had the most wonderful time. If you would like to start at the beginning you can CLICK HERE. So Sorry – Other Supplies: Prismacolor Pencils – French Grey 20% / Warm Grey 10,70% / Peach. Gift Card Set – Other Supplies: Prismacolor pencils – Cream / Warm Grey 20% / Light Umber / French Grey 70% / Sand / Nectar. Just For You – Other Supplies: Copic Markers – T0,2. Next > Video: Neat & Tangled Guest Designer – Floral Hearts : Two Ways! All your cards are so amazing! I specially love the note-cards. So pretty! I just had to make a dog sympathy card, and so appreciate your wonderful design for future pet cards. The background die is perfect (as is the cat, which real life cats know about themselves as well). Thank you. Lovely cards today. Love the soft colors. I love these cards Therese, using these fabulous products in the release. I love your darling cat with the plaid background, I love the sketchy look with the flowers and the watercolor frames, and then you are right that’s peach colour on your notecards is gorgeous. Beautiful cards. I love the little gift card set. So cute. Anyone would love to get those.. right? I am enamored with the plaid dies! Cute little notecards! Great techniques! I love what you did here. I am always looking for inspiration and I have found it. Love all your cards! There are so many amazing products in this release! So excited to see these new releases from Altenew. Im also happy to see all the new products they are now offering. The cover dies in plaid are a must have for me. The embossing powder is on my list too.as well as the Best Buds.No one does florals like Altenew does. This release makes me very happy!! Thanks for sharing your lovely cards & your talent. WOW. I am smitten with your sympathy card Therese! I’m really liking the plaid background die. It makes the cards so interesting. You do great work. You are always so creative! I love all your cards! Thanks for sharing your wonderful talents with us! How could someone not feel loved by this sweet little sympathy card? LOve the panels, and colors you’ve used here, and for your darling little note cards, too. I can see that I hit the ‘check out’ button too quickly, Therese! Fingers crossed you can help me out with that second shopping trip! Oh my goodness, Therese…you’ve been busy! What lovely cards – I especially love the sweet gift cards. beautiful cards. I love the look of that peach embossing powder. Beautiful cards. I like the frame around the images on the note cards. All great cards, my favorite is the cat card! Love your cards today, Therese! And your video was great, as usual. Cute cat! Your cards a just a bit whimsical and that makes them wonderful. Thanks for sharing. Love your cards! I love plaids so those new plates are a must have for me. Your right about the new peach embossing powder, it is a beautiful color. Thank you for all the inspiration. Thank you for the inspiration. I really like the colors you choose for the cat’s card, they are my favorites. Love the colors you used for the plaid background!!!! fabulous cards. Thanks for sharing your cards today. Another great Altenew release. Very excited about the embossing powders. Lovely in peach. This release has loads of loveliness. Thanks for sharing and for a chance at a great prize. Lovely use of soft colors! Simply Fabulous Art!!! WOW! Thanks for the video and inspiration 😊! Fun project. I am loving this new release. 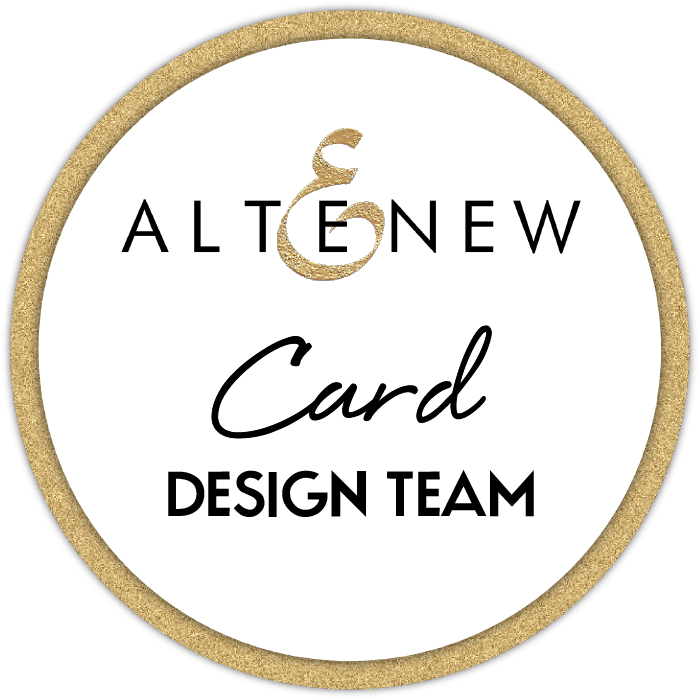 Lovely cards….I love to see your creations and these new Altenew designs will be fun to use, I think! The layered plaid die covers are fantastic! What fun! These cards are just amazing, Therese! That layered plaid is genius, and I love how you highlighted the new Golden Peach EP in your card set! I love the best buds card you created! I love the newbies and the way you used them, also very excited about the embossing powders. Eautiful, inspirational cards TFS. Love them all, but the flowers are especially beautiful ! Lovely cards! I especially like the cat card. The peach powder is beautiful! Beautiful cards Therese. I love the layering dies, such a fantastic idea. Love the plaid diecuts a lot. Very nice. Your cards from this release are beautiful! Wonderful cards, Therese. I particularly love your last card! Your cards are amazing and what a rockstar video! I enjoy watching your videos as much as looking at the final card once done. Thanks for sharing. Lovely cards … super sweet mini set. have been dreaming about this stamp. Beautiful cards you have! Those layer-dies make BEAUTIFUL cards! Such pretty cards Therese!!! I’m loving that plaid cover plate die! Therese, such brilliant designs; each highlights a perfect technique. Delightful cards!! Except may be the cat. Love your creations. The colors of the embossing powders are beautiful and I love the Layered Plaid Cover die. Your kitty sympathy card tugs at my heart, reminds me of the boy who once owned us. Cute inspirational cards, love them. Love the new plaid die! Still amazed at your talent and creativity! Great cards! That plaid die is wonderful! What creative cards. . .I like what you did with the peach embossing for the “sweet” card series. Thanks for sharing these on the blog hop. What beautiful cards! Love how you made the sweets stamps look classic and vintage-y, and those black and white florals on the colors. But I especially love how you used those new layered background dies! Thanks for sharing! Love those new dies – how very different they are! The cat stamp is awesome too. So many new things – so little time. The May release is terrific. I love the background dies and am sure they need to come to my craft room !!?? 🙂 Great job on your card and thanks for sharing. Very pretty cards……hard to pick a favorite. Thank you for sharing. Lovely cards, really like the Cat card and the embossing powders look great. couple of wishlist items i think. Wonderful cards! Another really lovely release. I especially love the Budding thanks set and those layering dies! I just love your work…always such a joy to see and so inspiring. I really want a few of these great sets. fantastic array of cards, Therese – especially love the plaid background with the cat! What a great set of little cards. A great idea to whip some of these up quickly. Love the last card with the subtle background colour and single popped up flower. Love the new cover dies. I especially love the sweet everyday cards although they are all just fab! Love the cute note cards! And the last card is simple but so pretty. I so enjoy your card videos. Your creativity is amazing. Not to mention I love listening to your charming accent. Great cards, particularly like the Just for You one. Thank you. Great cards!Love the pastel colors you have used! Such a lovely card and thanks for the video. Love that plaid background. Thanks for sharing your great projects. I’m new to this site, hw do I find out how much the plaid dies are? They are quiet beautiful together. Those note cards look perfect for gift cards, and your kitty…. so sweet. These are all terrific, but I really love your sweet kitty-cat card. Gorgeous card and your pet cat! LOVE the Golden Peach embossing powder on your card set too! Very nice cards. Like the layers. love everything about these cards. the colors , dies and they all look delicious. Really cute cards! Love the colors and the designs. love those notecards . . .
Creative work…Very inspiring work with the new Altenew releases. Very inspiring and creative work with the new Altenew releases. Absolutely wonderful cards showcasing your amazing talent. Thank you for sharing your art with us. Your cards are lovely. Especially like the little notecards. The peach embossing powder on your lovely notecards is just so beautiful! I can’t wait to see it in person. Your video showcasing the cover dies was so good. It’s nice to see your thought process in selecting colors. These cover dies are amazing, aren’t they? Such a great card with relatively easy assembly. Great cards. I love the soft color palette. Ahhhhhhhhhh I am totally in love with the plaid layering dies and you card only makes me want them more!! Great new release by the looks. Love the last card with the water colour frames set – great background for a focal point. I love the little coffee themed cards in that Golden Peach! Cute! 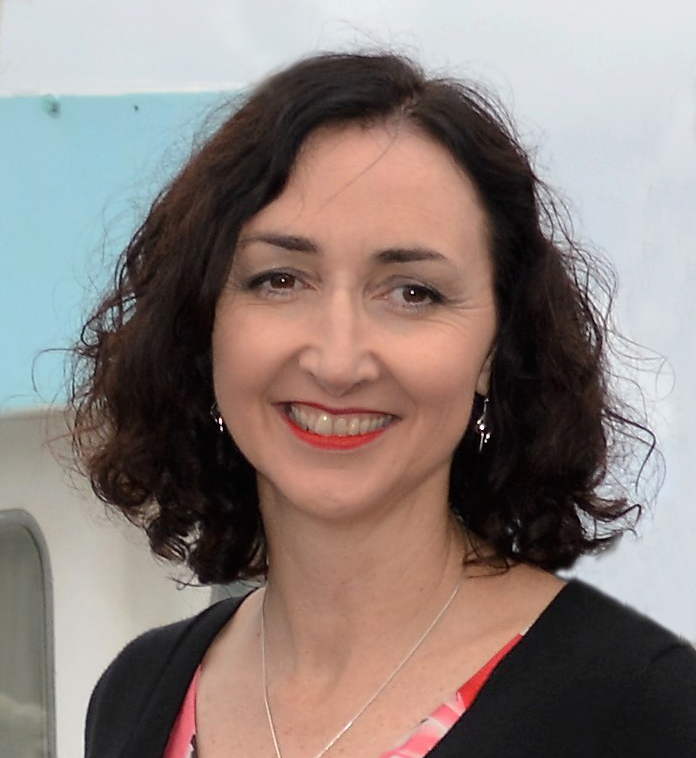 Hi Therese, Thanks so much for putting in the effort to make all those wonderful youtube videos. Its also lovely to hear an Australian voice in the mix of great artists. I look forward to your next video. Love your cat card, it reminds me of my baby (just a very cute Moggy) who died last year at 19. Oh Therese, I look at all these products and I think I’ve died and gone to Heaven! I love the use of the background diamonds. I love your work, fantastic cards! I always love your cards and you didn’t disappoint. The Altenew embossing powders look amazing. I love the white as I find it hard to find a good stark white powder. Will definitely be in my shopping cart. Thank you for sharing. All the cards are beautiful, but I think I love the best buds card most of all. What beautiful cards. So soft and lovely. Thanks for the inspiration! Lovely cards! I can’t pick a favorite! The peach embossing powder combined withe the stamps from the new release is magic! I love that golden peach color, and I am really seeing how much I need the watercolor frame set. I love the simplicity of the last card–it’s a look I have tried many times, but never got one that was as successful as yours. I have some clear stickers that I have put over loose w/c backgrounds that turned out fairly well, but most of my attempts have become grocery lists! Thanks for the encouragement to try again! Love the note cares .So cute. Wonderful cards. Love them all. My favorite is the first one. Great layering with the lattice die. The cat card’s soft colors has won me over. I just love it. Really like the layered plaid! I am wanting the Layered Coverplates A and B more and more. Love the cat! Love the plaids and the tiny cards are so cute, but I adore the florals! I’ve got to get Best Buds. Beautiful cards! I love the plaid covers, but that last card is my favorite. Such simplicity and softness! Wow! Love them all! Thank you for sharing!! Love your cards! Thanks so much for the inspiration! I really like the grid that you used on the cat card. It makes for some interesting designs. The little cat is cute! i love the simplicity and softness of your last card. Loved the Just for You card with the best bud stamps. It has such and elegant look. Fantastic. Thanks for sharing. Love your soft colors and the small cards. Thanks for sharing! Your cards are lovely! I especially like the block background behind the flowers. As always, love your work. I know I’d love your work even if you weren’t an Aussie😄 I always look forward to seeing what you create. Loving the colours that you chose for your cards. Thanks for the great inspiration. I am always so inspired by your gorgeous cards, Therese. The plaid background sympathy card is amazing! Love these new Plaid layering dies, and your use of them for a sympathy card. Gorgeous! The peach is so peachy cute LOL and you have shown so many techniques. Thank you so much. Love your ideas. The plaid cover die is definitely on my list. Beautiful projects all. I love those little note cards!! Your cards are sooo cute!!! Wonderful cards. Thanks for your video – always enjoy them. I definitely have been guilty of colouring dog stamps like my dogs. I’ve been searching for a good detail white embossing powder maybe this new Altenew one fits the bill. As always ,your cards are awesome. Love the plaid die. Thanks for sharing. Looking forward to playing with those plaid backgrounds! Such a great card Therese and I did love the red behind it as well. (Such a versatile set of dies!) ♥ them! You have beautiful creativity. Love all your cards. Awesome cards as always!!!! That little card set with the watercolor frames is so cute! Such creative uses for the new products you used here! Love your ideas and the cards are terrific. So well done! I am so in love with the Layered Plaid dies and have already ordered them! They are due to be delivered any minute now and I am on the edge of my seat waiting to get the text saying that my mail is here so I can have a little play time with them! Your cards are all fabulous and inspiring! TFS! Such beautiful cards. The gift cards are so cute. Beautiful cards. Can’t wait to try Altenew’s embossing powders. Great release, I think this cat stamp is my favorite. Love te card you made with it!! What a great release! Your cards are nice, especially the cat with plaid background! Lovely cards. I love Cats so the stamp set is rather cute! Thanks for sharing. Beautiful cards from an awesome release. I really love the new embossing powders and the layered plaid die set. Love all of your cards Therese, the Plaid Layering Cover die is amazing and I really think the colours you used looked amazing together! Your kitty was adorable, thank you for sharing a picture of her in your video and yes I also colour all animal stamps to match my pets. It is so sad when a pet passes away…but they are a part of the family and deserve a card too!! Thank you for the inspiration!! Awesome cards, love the little note card set – so charming!!!! I think your work is very classy…as always! Thank you for showing your “thought” process when selecting which colors to use and in which order. I find that is where I “waste” a lot of time – deciding WHAT and how to use colors and stuff, LOL! Love all your cards, the soft colors are beautiful. Love your cards! I especially love the “just for you” card with the flowers not colored, but the background says it all! Very artistic! Such a great release and amazing blog hop! So much talent and inspiration! Thanks for sharing yours! Beautiful cards! Love the plaid cover plates so versatile. My favorite was the card with the flowers and the watercolor frames it is simple yet stunning. Thanks for the inspiration! Beautiful cards! Love that sweet kitty and the plaid cover plates! Great release! I love how you showcased some of the products. Fabulous cards! Love the release! You really make me want the cat stamp set. Your sympathy card is beautiful! What a cool, modern artsy look to you gift cards and best buds card. My fav is the cat with the plaid background!! I love your cards! The kitty is adorable! Great mix of card designs, thanks for all the inspiration! Gorgeous cards! I am very much loving these new cover dies. Beautiful cards. I like the colour combo you used for the dies. Your cat was very pretty too. It’s no wonder Altenew wants you in their blog hop, Therese. You sure know how to show off their products so beautifully. Fabulous cards!! I am so loving this new release!! So pretty! I’m so excited about the embossing powders and this rose looks beautiful! Love your videos I always learn something new. Love this release! I love the beautiful soft color of these cards and the new Golden Peach embossing powder is gorgeous! I thoroughly enjoyed the video. Everything from your paper color choices to the extra attention you gave the cat made for a great card. Your other cards are delightful as well. Thank you for sharing your talent! You did amazing work on these cards! The kitty cat one is so sweet. The colors on these cards are beautiful. So simple and sweet. Love these cards! They are so fresh looking — love the coloring. Fantastic cards Therese. Love the adorable kitty image with the plaid die-cut. The latte cards are SWEET! Love your composition and use of graphic color! Great cards. My favorite is the one with the cat. Lovely cards. Thanks for making a video as well.. its very helpful to see the work in progress. I adore cats and this is a perfect set! All of your card are so wonderful. Love all your great designs. Love those cute gift tags with the gorgeous Golden Peach embossing. Thanks for the fantastic inspiration. Cute cards! I like the subtle colors you used. An array of marvelous cards, paired with a delightful, easy-to-follow video! You’re an amazing teacher; thank you! Great cards. You have inspired me with those mini cards! Thanks!! I like the simple coloring blocks on your flower bud card. They make the card look elegant. Great cards. Love the plaid and cat card. Your cards are so simple yet elegant! The gift cards you made are so adorable! What a great gift they would make. Love the cat card! I can just see him climbing the glorious plaid background, can’t you? Such lovely cards – I particularly like the gift card set! You are so generous with your time and talents. I like all the details of your cards. The video showed the whole process of making the plaid card. I think the shading on the cat was inspiring. What wonderful cards! They are beautiful! The stenciled one with the cat is so elegant, beautiful.